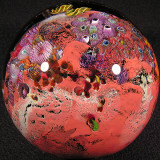 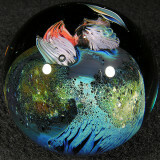 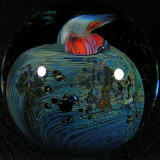 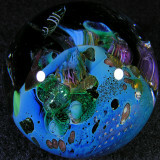 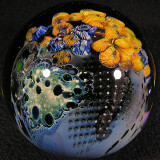 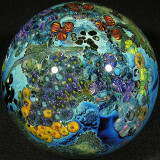 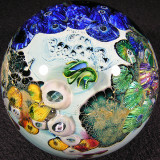 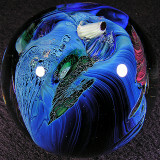 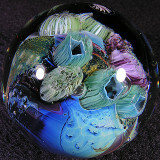 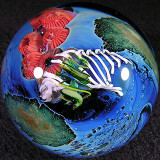 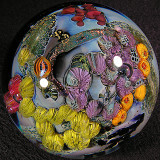 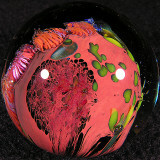 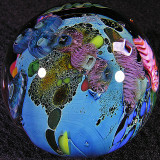 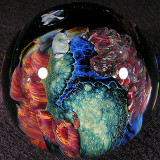 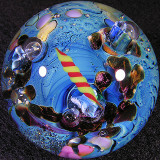 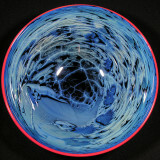 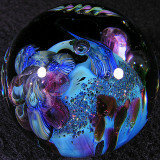 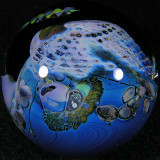 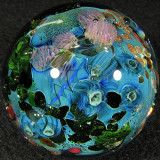 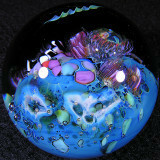 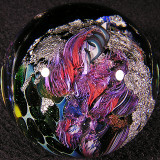 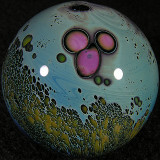 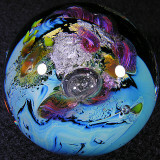 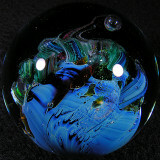 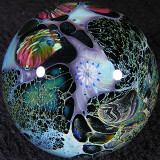 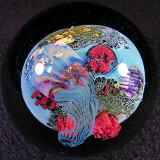 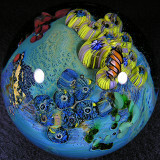 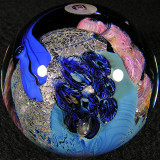 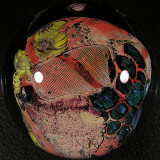 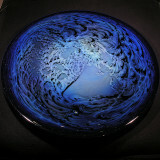 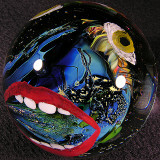 Josh Simpson is a legend in the glass world and has been working with glass for several decades now. 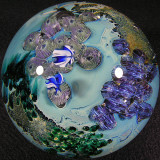 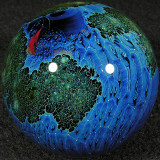 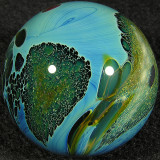 He makes a lot of different glass items, but I especially love his marbles of course, although Josh prefers to call them 'planets', not marbles. 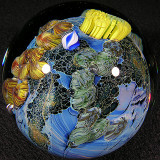 His planets are either 'Inhabited', and thus include one or more space ships in the atmosphere when the planet is inhabited, or they are 'Uninhabited', in which case the landscape is much more pristine and devoid of the glass cities and structures that you see in the inhabited planets. 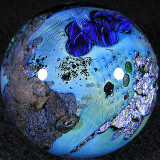 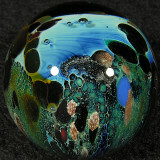 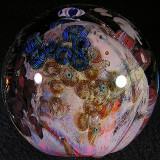 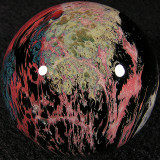 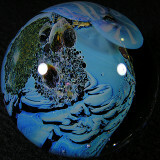 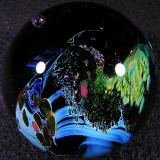 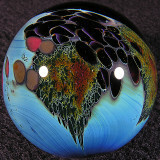 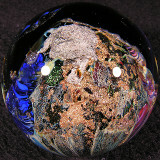 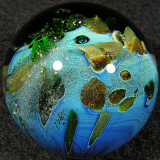 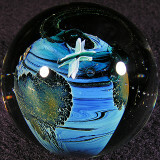 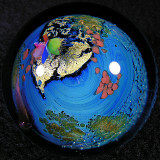 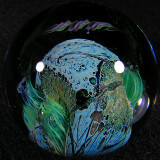 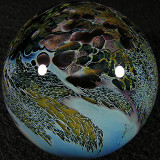 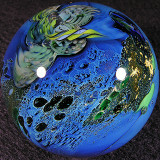 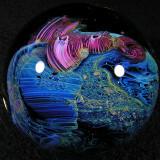 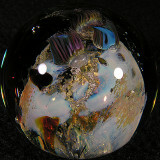 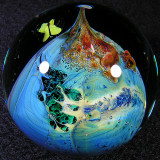 The planets are SO fun to explore and imagine the possibilities for the glass contained within and without. 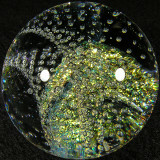 There are many different styles and features. 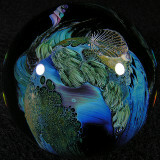 Let your mind wander as you view the glass and decide what exactly you're seeing. 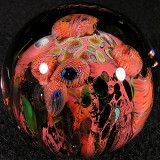 Josh as much as any glass artist out there brings about the true wonder of glass and what can be accomplished when the different chemical properties of the glass and metals are exploited to their utmost potential! 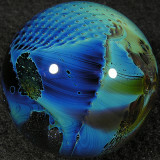 Needless to say, I have a LOOOOT of Simpson marbles and glass in my collection, I love it!